On our way north we spent much more time in the Loreto area this year and had a chance to enjoy several of the anchorages on Isla Carmen. One of the fabled attractions on the island is the bighorn sheep. The sheep were relocated here from the Baja years ago and have done so well that the government sells a limited number of permits for hunting. Until this year we had only seen the sheep in pictures. On one of our morning explorations we were hiking to the back of an arroyo (canyon) when we stumbled across one of the sheep’s watering holes. Judging by the presence of the sheep and many bees, the water must be brackish. It was suggested that Trisha have a taste to find out, but she was unwilling. Anyway, as we approached the watering hole we could hear loud movements in the brush. Next thing you know, we saw several bighorn sheep scrambling up the near vertical wall of the canyon. It was quite a sight. We came back for a repeat performance a couple of days later and brought the camera. 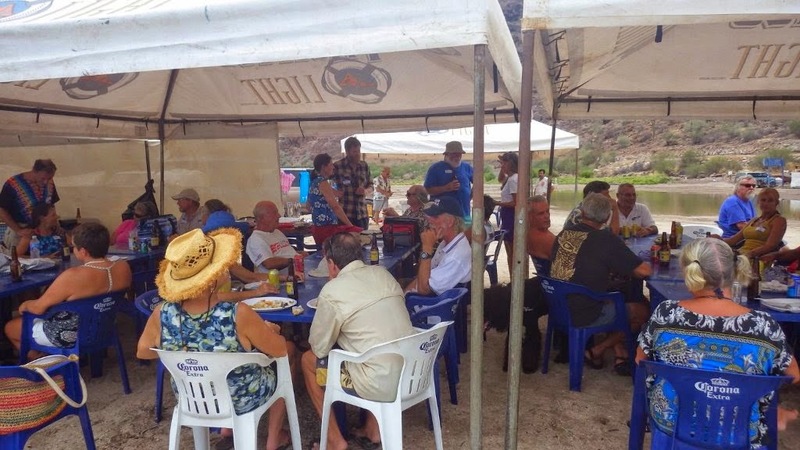 As we begin our third summer in the Northern Sea of Cortez, we hope you enjoy this picture blog showing what we’ve been up to for the last few months. 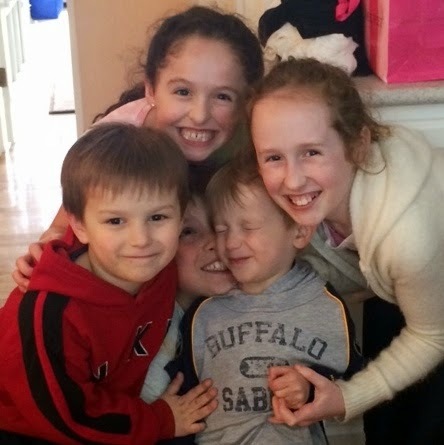 In the Spring, Trisha made a visit to Buffalo to see her family and it was great to see brother Paul and his family who were soon in the process of moving to Helsinki, Finland. Back in La Paz, spring has sprung and the birds and the bees were hard at it. The humming bird nest was a big attraction on a little used fishing boat. The bees suddenly took up residence in our cockpit one afternoon. With a little help from the guys at the marina, they moved on the next day. An early stop on the way north is one of our favorite destinations: Agua Verde. We always have a good time there. We spent many nights at Bahia Marquer on Isla Carmen in the Loreto area. The summer was already heating up and in the water was one of the best places to be. A big thank you goes to Rick on the sailboat Regardless for taking the snorkeling shots. Rick is back in Alameda, California for the summer. For July Fourth, Jake and Sharon, from the sailboat Jake, were gracious enough to give us a ride to Bahia Conception for Geary’s Fourth of July party. We didn’t plan on attending this year because it is always too damn hot. This year we enjoyed a round trip ride in an air-conditioned rental and clouds and rain during the party. Geary noted that after nineteen years of throwing the party this was the first time it rained. After lunch, Derrick presented Jake with the coveted Green Shovel Award. 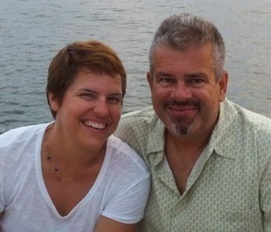 We have been buddy boating with our friends Diane and Terry from the sailboat Harmony. Time to move on!